Shake out the sheets and mark your calendars for the 2018 Spring cruise out to Half Moon Bay Friday March 30th - Sunday April 1st. Weather permitting, we'll be departing under the Golden Gate Bridge at slack on Friday morning at 0730 and make our way down to Pillar Point Harbor. (If you can't make a Friday departure, c'mon down on Saturday!) There is plenty of space to anchor in the very protected harbor or you can make arrangements for a guest slip with the harbor master. 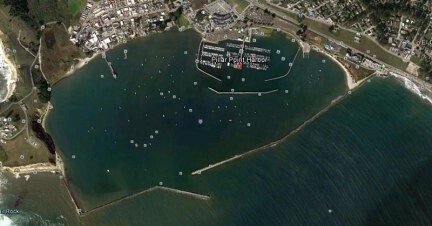 Aerial view of the harbor – The open anchorage is inside the break wall and outside of the inner harbor with the slips. 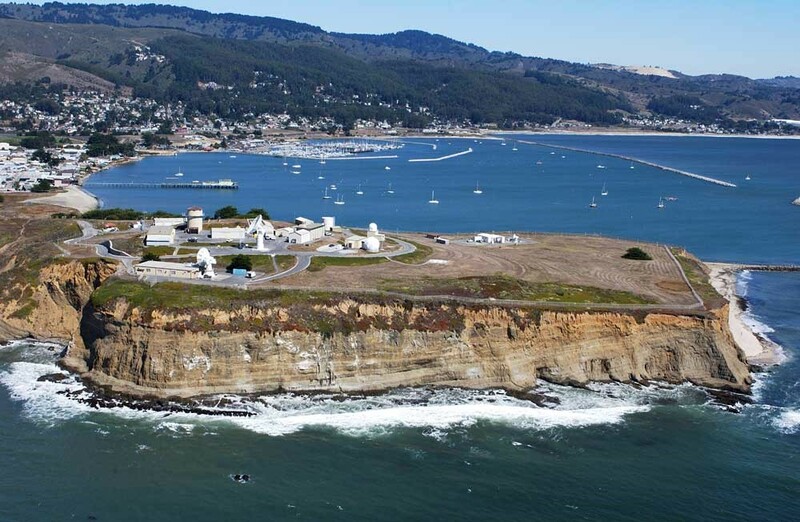 If the weather outlook in the ocean is not looking good we'll execute plan B which will be a location inside the bay such as Ayala Cove at Angel Island. We will be monitoring VHF 68 as well as VHF 16 of course.